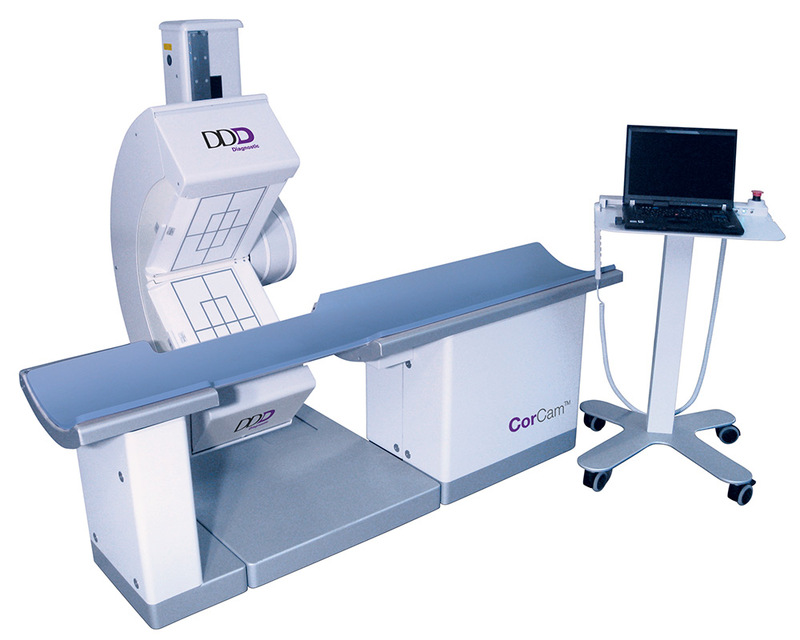 The CorCam™ dedicated cardiac SPECT camera from DDD Diagnostic features two fixed 90-degree detectors each with a 36cm x 20.4cm field of view (FOV) and 24 high-resolution low-profile photomultiplier tubes providing high detector performance and excellent resolution. With a small footprint, the CorCam easily fits into nearly any room. 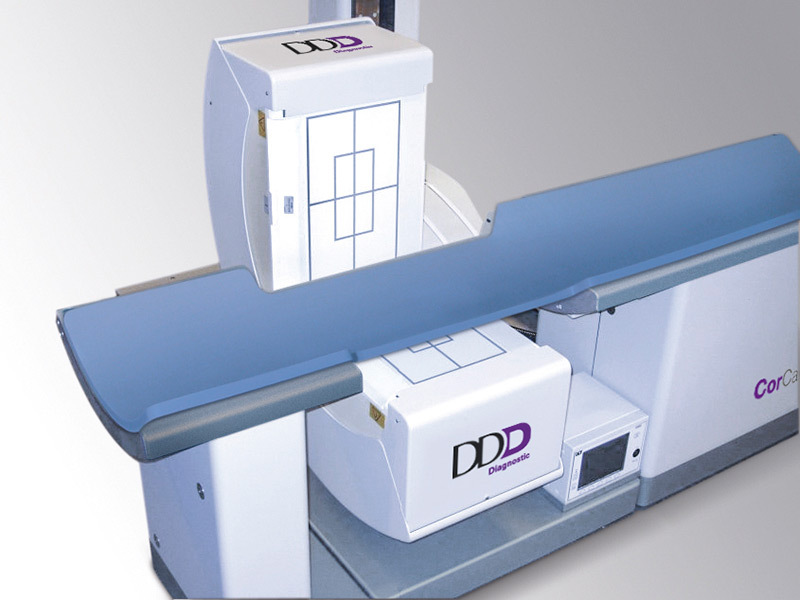 Optimized: Designed for quick and seamless Myocardial Perfusion Imaging. 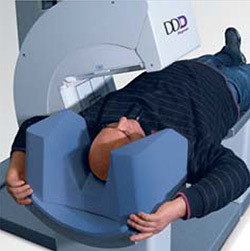 Proven: Highly reliable and well proven gamma camera. 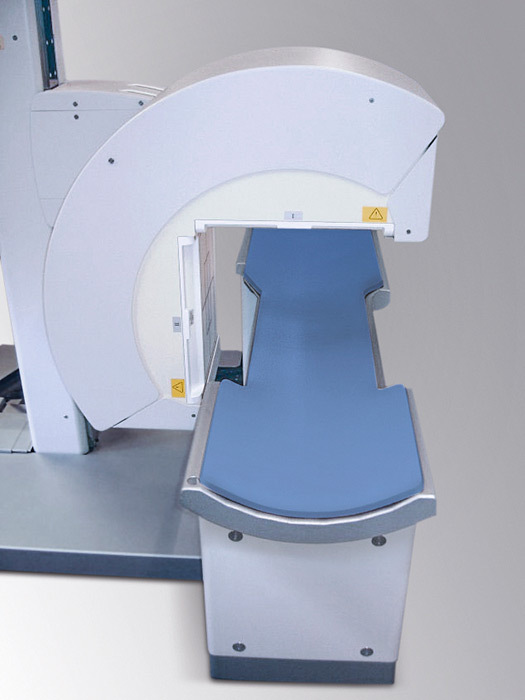 Easy-to-use: Truly open gantry allows for greater patient comfort. Cohesive: Integrates with hospital infrastructure – DICOM Modality Work List. 1) Supine-only imaging with minimal footprint. 2) Supine and prone imaging with small footprint.